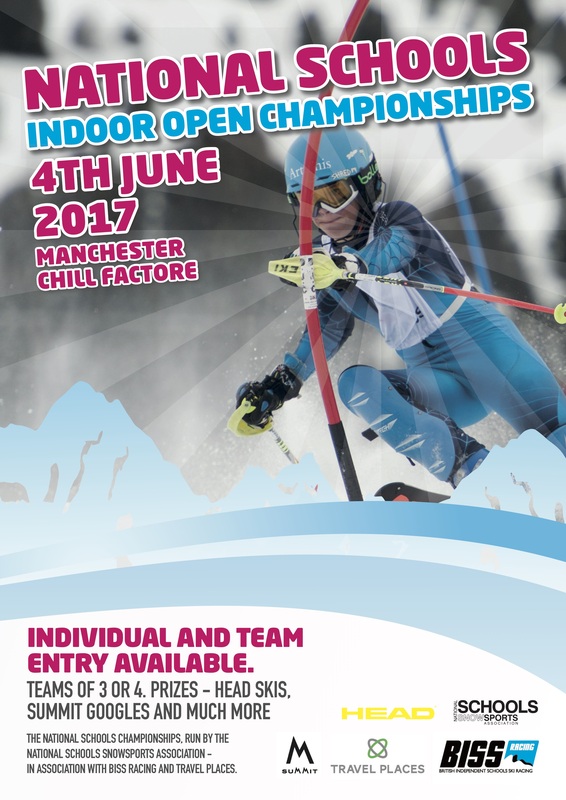 The NSSA are behind the National Schools Open Championships taking place on the 4th of June 2017 at Chill Factore, Manchester. This promises to be a great event with training held on the evening of Saturday the 3rd of June. Prizes donated from Head Skis, Summit goggles, BISS Racing and more to come. The event is open to all schools and individuals now, closing on May 25th 2017. This closing date may be brought forward, should the event become full earlier. For this event, the NSSA are engaging the services of experienced schools training organisation, BISS Racing to man this event in their to ensure that the training and competitions are well run. BISS Run the successful BISS Champs each September and ISA Champs each April. 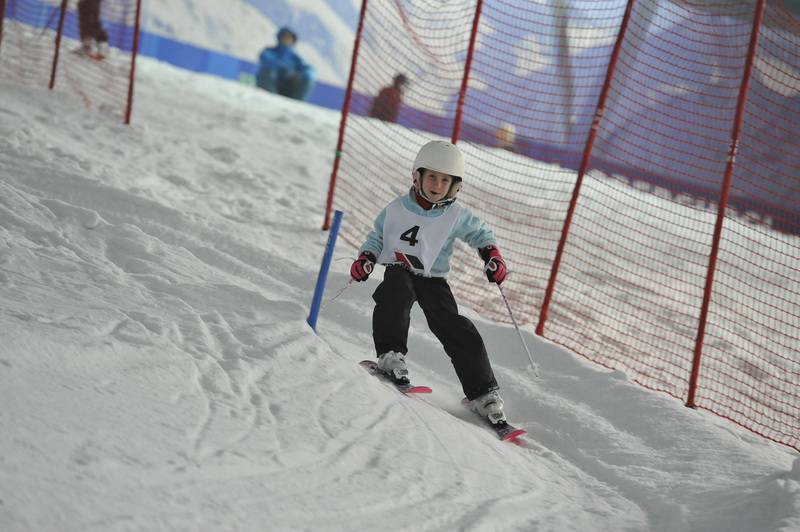 The event will be a two run slalom with the fastest run to count. Junior schools race in the morning with senior schools in the afternoon. Junior school competitors will race through stubby gates with senior school racers in full gates. Teams of 3 or 4 (Best 3 to count) are welcome from schools as well as individual entries. Prizes for individual positions 1-5 in each gender and age group with team prizes and trophies for best school in Boys, Girls and mixed team categories in both junior and senior events. FIS age categories from U10 to U21 and, to make this event more accessible, we do not restrict teams to just one age category.